They are simple or complex. And they can change character quickly depending on the sauce, the filling or even how you prepare them. I’ve even used leftovers, wrapped in a tortilla and topped with a red or green chile sauce or even mole. I haven’t tried leftover lutefisk, but maybe I will someday! Or maybe not. 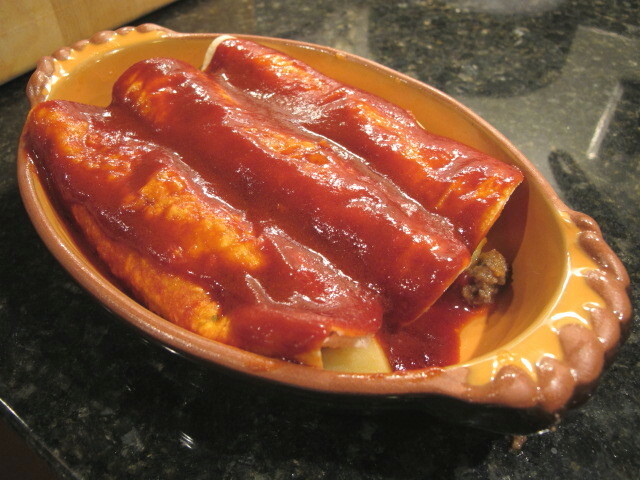 As a result of its flexible nature, enchiladas come in many varieties from around Mexico: in this case, Jalisco, a state in central Mexico. The original recipe is from Diana Kennedy‘s The Essential Cuisines of Mexico, but I’ve made some changes. I don’t use lard or pork. I don’t fry the tortillas and I added more vegetables. I also changed from an aged cheese to queso fresco, a fresh cheese. You can make this a vegetarian recipe by using some meatless burger like Loma LInda Vege-Burger or Morningstar Griller Crumbles instead of the beef. 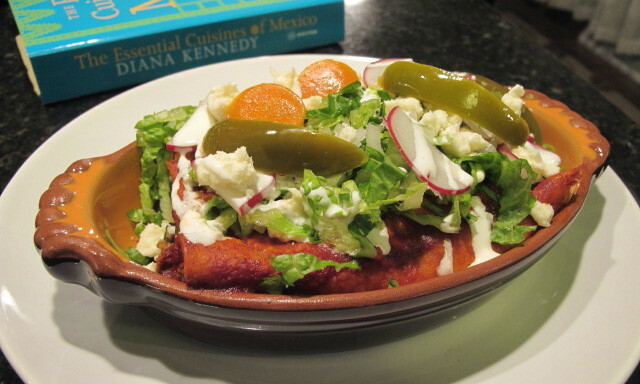 What I like the most about these enchiladas is the freshness of the toppings. If you give it a try, I hope you enjoy it! Trim the zucchini squash and leave whole, or cut in half, if it is large. Peel the carrots and cut in half, lengthwise. Wash and cut the potatoes in half, lengthwise. 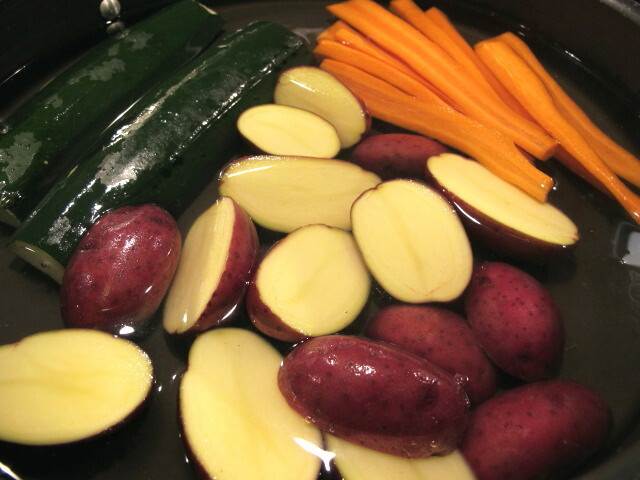 Place the vegetables in a large saucepan and cover with boiling water. Add the salt and let them cook for 5 minutes. If you are using the beef, mix the meat with salt to taste. 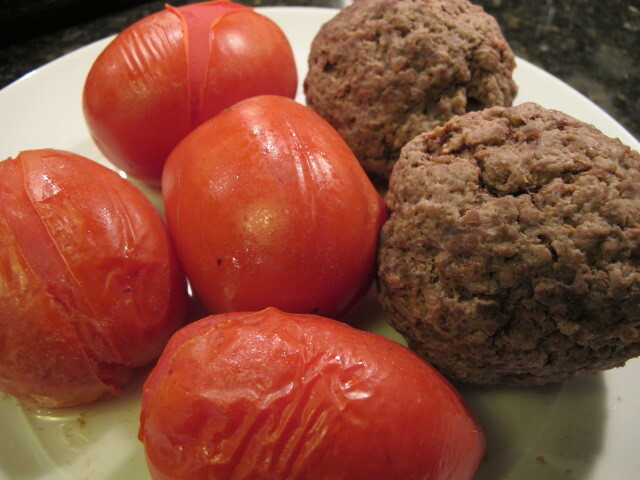 Form the beef into two large meatballs and add them to the vegetables, along with the tomatoes and cover. Cook over low heat for about 10 minutes. Make sure not to overcook the vegetables. If you are not using the beef, cook the vegetables until they are almost cooked. They should be a little bit firm. Remove the vegetables and the beef (if using) and drain the broth through a strainer and reserve. 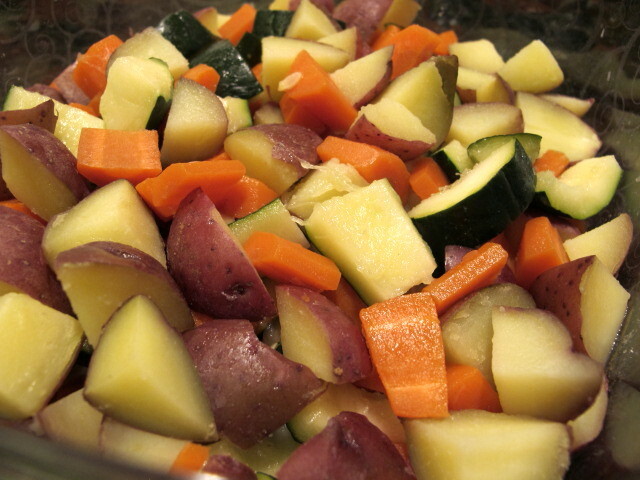 Once cool, chop the vegetables into small to medium cubes and set aside. 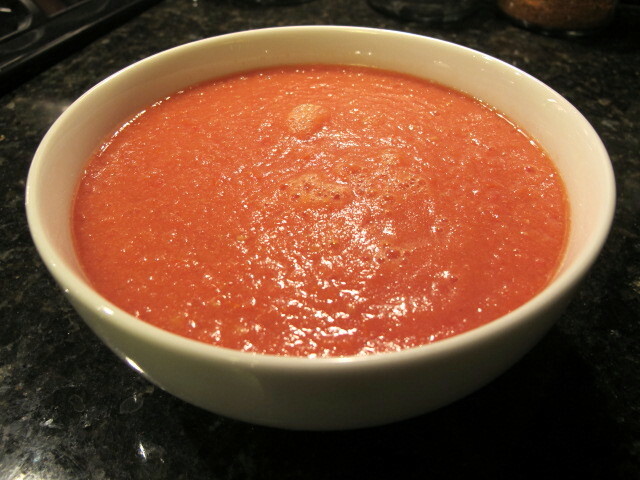 Blend the tomatoes well to make a purée. Heat a large skillet over medium heat. Add the onion and cook until soft. 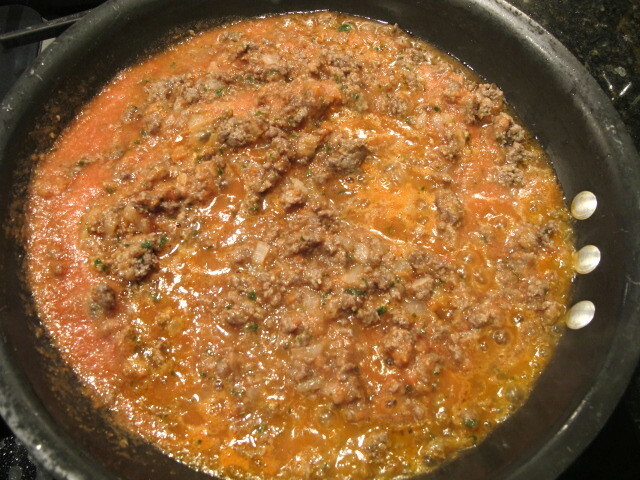 Add the vegetarian beef or crumble the meatballs into the pan along with the parsley. Cook for 5 minutes. Add the tomato purée and cook until some of the juice has evaporated. Add the reserved broth and the vegetables, mix and cook for about 10 minutes. Add salt to taste. 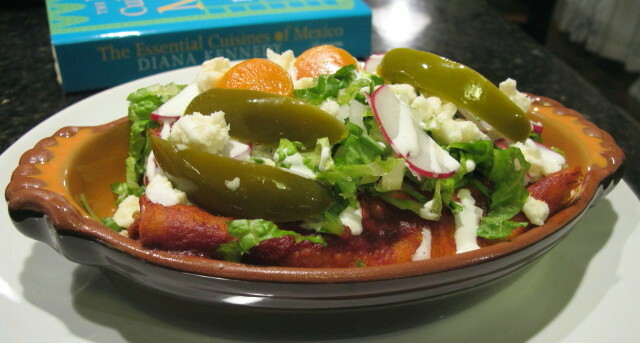 Heat a comal or cast iron skillet and toast the chiles lightly, for about 10 seconds each side. 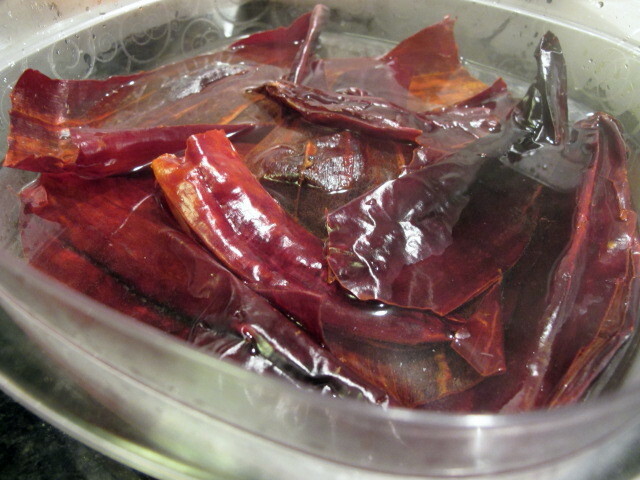 Place the chiles in a bowl and cover them with hot water. Leave to soak for about 10 minutes. Transfer the chiles to a blender. Add the broth and blend until very smooth. Strain into a small bowl. Add the ground clove and cinnamon and whisk until the spices are well mixed in. Add some oil to a saucepan and cook the sauce for about 8 minutes. Add some broth if the sauce seems too thick. Heat the tortillas on a comal or a skillet until soft. Place the tortillas in a container or between two towels to keep warm until ready to use. 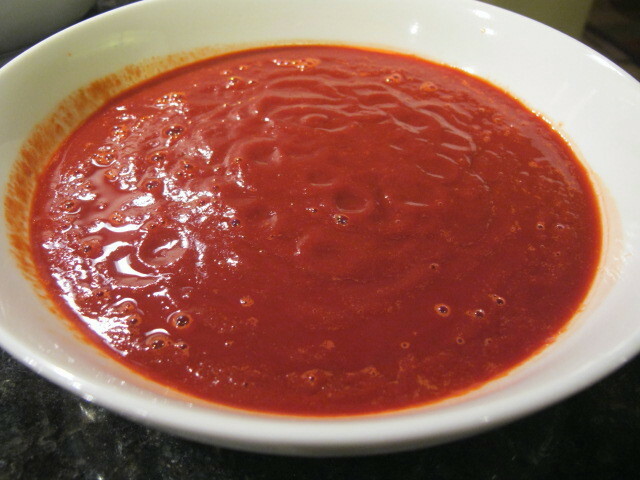 Place a 2 tablespoons of the sauce at the bottom of your baking dish (more if you are using a larger baking dish). 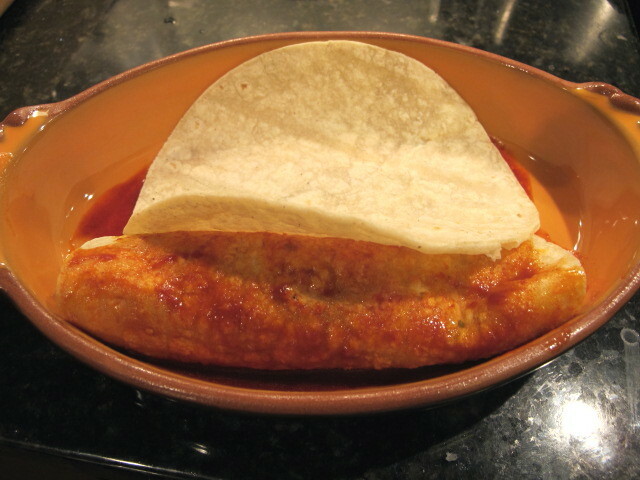 Place a tortilla in the dish and spoon some of the filling across the tortilla and roll it up. Continue with two more tortillas. Pour a little of the sauce over the top. Repeat until you’ve used all the tortillas. Cover each dish with aluminum foil and bake for about 15 minutes. Remove from the oven and serve, topped with the lettuce, radishes, sliced jalapeños, cheese and chopped onion. Note: Depending on the size of your tortillas and/or how much they are filled, you may have some extra filling. You can use it as a filling for empanadas or in a burrito.